Enjoy stunning flower displays, blooming tulips, unique artwork, wonderful shows & more! Vouchers are accepted on smartphone or in print! Visit Amsterdam’s iconic attraction, the Keukenhof Gardens with convenience and minimum hassle with this exciting tour that includes return bus transfers from Amsterdam as well as priority access to Keukenhof, thereby saving much time and effort. Take in the stunning views of the Dutch countryside as you enjoy a scenic bus drive. Step into a wonderland of flowers and picturesque gardens with a skip-the-line entry to the Keukenhof Gardens! Bypass long queues upon arrival at the Keukenhof Gardens and spend time amidst nature as you stroll through spectacularly beautiful gardens with more than 7 million bulbs! With lovely flower shows, surprising inspirational gardens, unique artwork and wonderful events to attend, a visit to the world famous flower garden is an absolute treat for the senses. Explore 32 hectares of flowers, see 800 varieties of tulips and enjoy a day of fun and recreation with the whole family. Explore the Keukenhof at leisure, before boarding the bus to return to Amsterdam. 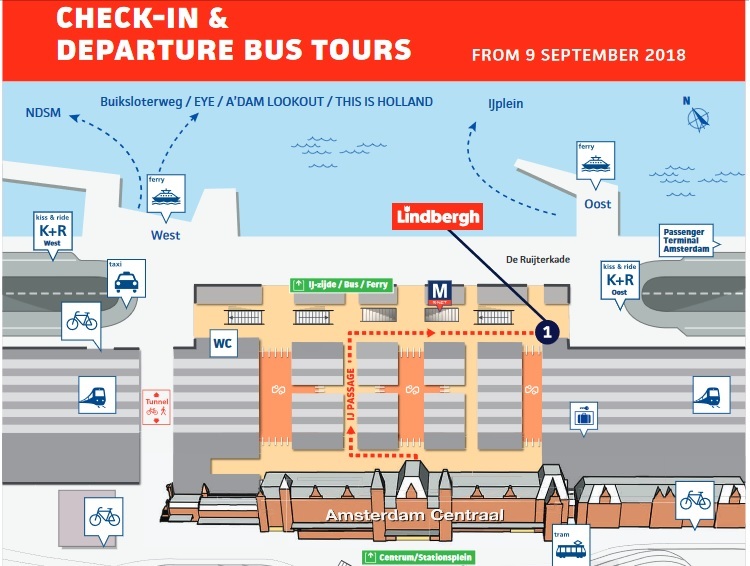 Tour departs from Amsterdam Central Station: IJ-Hal, De Ruijterkade 34 a. Present your voucher at Lindbergh Kiosk. OKAY WHEN WE GOT THERE, BUT COACH WAS LATE IN BOTH DIRECTIONS AND THE BOARDING PROCESS COMING BACK WAS DISORGANISED, WITH PEOPLE PUSHING IN AND JUMPING THE QUEUE. Well organised and good coaches.